For many employees, the ability to dictate their own hours is a much sought-after company perk. The traditional Monday to Friday, 9-to-5 work week is fine for some, and in several industries it is an understandable non-negotiable. However, more and more, employees are craving the freedom that comes from flexible working arrangements, whereby they have some say over where, when and how they work. Perhaps this means working from home two days a week, working part time or working four ten-hour days instead of five eight-hour days. There is no one way to implement a flexible working program, but in all cases, it means allowing employees to work at the times that allow them to be the most productive. The benefits associated with flexible working cannot be understated. For employees, it means a better work-life balance, while employers can expect to see an increase in employee productivity, engagement and loyalty. Similarly, flexible work can often save companies money. In addition to the value of increased productivity, staff in many cases will value flexibility over salary, and such strategies can simultaneously attract a larger pool of applicants for vacant jobs and help to retain existing skilled staff. Despite the numerous advantages associated with flexible working, it is not a strategy that can simply be launched overnight. Implementing such a policy without preparing properly can undercut the benefits it offers, as employees need to be aware of the associated expectations and limitations. To launch a flexible working strategy to maximum effect, organizations need to first lay the groundwork for success. One of the key reasons why flexible working falls flat is poor management. When you’re going through a transition in the way your team works, it’s crucial to properly communicate the philosophy behind the switch. Clear KPIs need to be implemented from the outset, whereby employees are made aware of employer expectations in relation to non-negotiable days in office, deadlines and so on. These guidelines are critical to ensuring employees can manage their own schedule without employers feeling in any way at a disadvantage. This extends to management too, who need to redefine the way they measure productivity. Gone are the days of using time spent online or in the office as indicators of an employee’s performance, and management therefore needs to find new ways to hold employees accountable for their deliverables, such as with a results-based approach. This may require some trial and error to determine exactly what schedules work for which teams, so clear and open communication is critical in the early stages to ensure everyone is on the same page about what is expected of them. Since more and more workplaces are adopting flexible working environments, there’s ample technology today to support the process. Software can help you streamline the transition so that there’s minimal confusion as your company adopts the new system. Technologies like Dropbox and Google Docs provide ways for employees to collaborate easily, while communication tools like Skype and Slack ensure employees can stay connected regardless of their location. 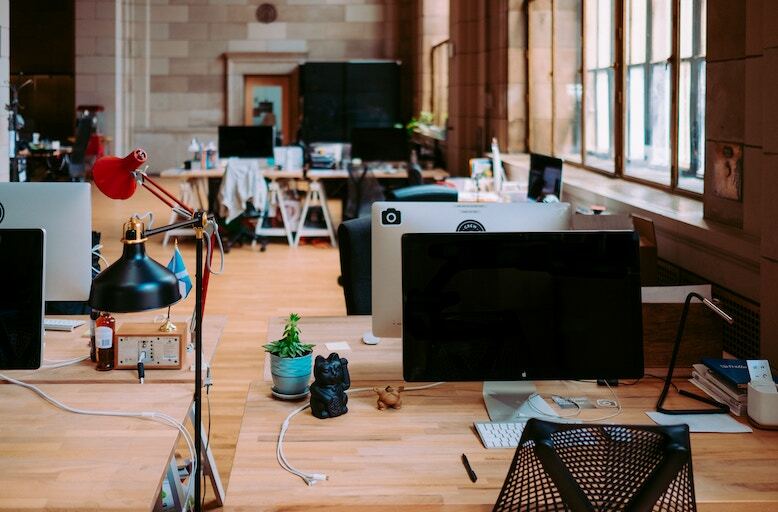 If your office is implementing a hot desking policy to complement your flexible working strategy, advanced software ensures employees always have a desk when they come into the office, even if one is not assigned to them permanently. One of the best ways you can prepare employees for the launch of a flexible working policy is to talk to them about their needs. Employers can do all the research they want into how other companies have implemented flexible working policies, but they need to take into account the personalities and lifestyles of their own employees to make sure it’s the right fit. Host meetings, send out surveys and ensure the lines of communication are open so that you can get a clear understanding of what employees expect from a flexible working policy, rather than simply confirming what employers expect out of employees. Having everyone on the same page is the key to a successful and profitable arrangement. Flexible working policies can be extremely beneficial to both employers and employees, but they need to be approached with tact and clarity. As long as team communication and technology work together to facilitate flexible working, you’re bound to see the benefits in your team. Looking for the right software to launch flexible working? Try the free OfficeSpace demo.